Shock and disbelief have trailed the release of a 13 - second video showing the Majority Leader of the Osun State House of Assembly , Mr Timothy Owoeye , stark naked . 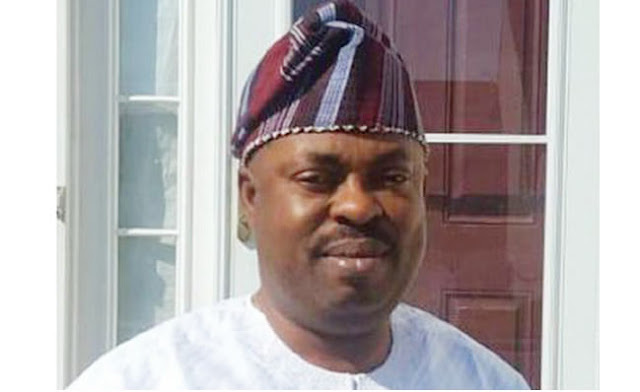 The clip , which is making the rounds on the social media , showed Owoeye , who is representing Ilesa East, the constituency of Governor Rauf Aregbesola, being queried by some persons over what he was looking for in the dead of the night. The lawmaker was seen trying to cover his private parts with his left hand, as he pleaded with the men, whose faces were not covered in the video. The video went viral on Saturday as some members of the opposition parties in the state claimed that the lawmaker was asked to bathe at the market square with blood in order to make the APC win the governorship election . They also said the ritual he was performing before he was caught by the men was for him to remain relevant in the new political dispensation. PUNCH Metro gathered that the incident happened sometime in July . Sources close to the lawmaker , however , said Owoeye was kidnapped and taken to where he was stripped naked and recorded, adding that his alleged abductors threatened to kill him . The source said, “There is nothing true in what they (opposition parties) are saying. He was not caught taking his bath with blood . He was kidnapped by some fraudsters, who took him to the place . If he was bathing with blood, the video would show traces of blood on him, but there was nothing like that . He was stripped naked and he was not even bathing with water or anything. The state Commissioner of Police , Fimihan Adeoye , told our correspondent on the telephone that the police arraigned those behind the leaked video on Friday, adding that the court ordered that they be remanded in prison . He described them as fraudsters who were threatening to blackmail the lawmaker with the aim of extorting money from him. He said, “ We recovered over N 10 m from them; they are fraudsters who wanted to blackmail him as part of their strategies to stop him from complaining to the police . “He was gullible and he fell into the hands of fraudsters . He was lured into the hands of the fraudsters by somebody he claimed he had known for a long time . Unknown to him, the man is a fraudster too and they went ahead to collect a lot of money from him. He went and borrowed because they were collecting the money from him continuously . “He was taken to around Osunjela , where he was made to undress . Unknown to him, they had positioned some people who took a video recording of his nakedness and assaulted him . But we thank God that he summoned the courage to report the case to the police . “The fraudsters were arrested and they made confessional statements ; we recovered the money they collected from him. Our position is that they will not go unpunished . They were charged to court and remanded in custody .